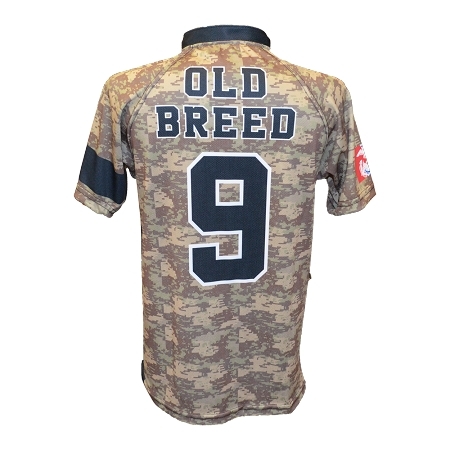 Formed in 2005, the Old Breed are a team made up of Marines (active, reserve, retired and veterans) that played rugby for the Marines at one time. 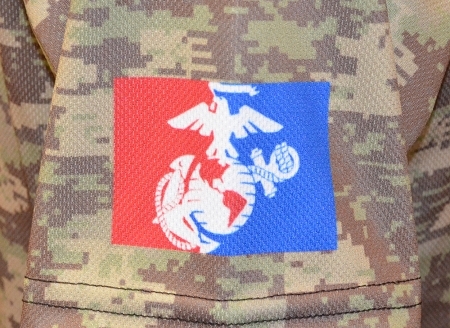 Their club is open to all who served honorably in the Marine Corps at one time or another and play for the love of the sport. This 35+ side, began playing in 2005 as a way to commemorate their fallen brethren who died while serving. 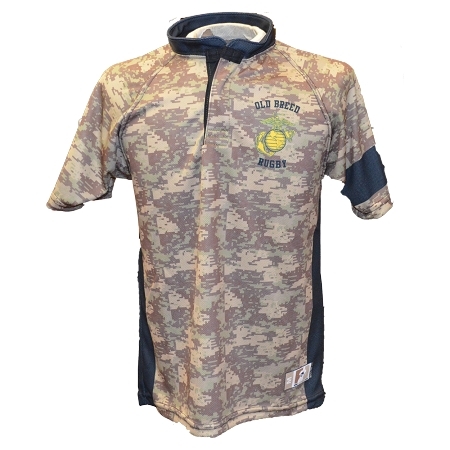 This P3 polyester jersey features the Old Breed rugby logo on the right chest, a desert camo body & sleeves along with black trim. Most importantly this jersey is adorned with the black mourning band which honors their fallen brothers.